Introduced to us at CES Unveiled back in 2014, the Swiftpoint GT caught our eye with its tiny form factor. At first, it seemed like an unwieldy attempt at being portable. However it surprised us with its unexpected ergonomics and more so with its touch gesture capabilities. Touch gestures from a mouse that comes with all of the accessories you’d need for it on the road? We just had to get a closer look at this little guy. Our International CES 2015 coverage seems to never end. This time, it’s coming in the form of a gadget review! As you can see here, you have a pretty basic spec sheet here for an “office” mouse. Sorry southpaws, this one’s for righties for now. That charge time makes the Swiftpoint GT pretty much always ready to go. 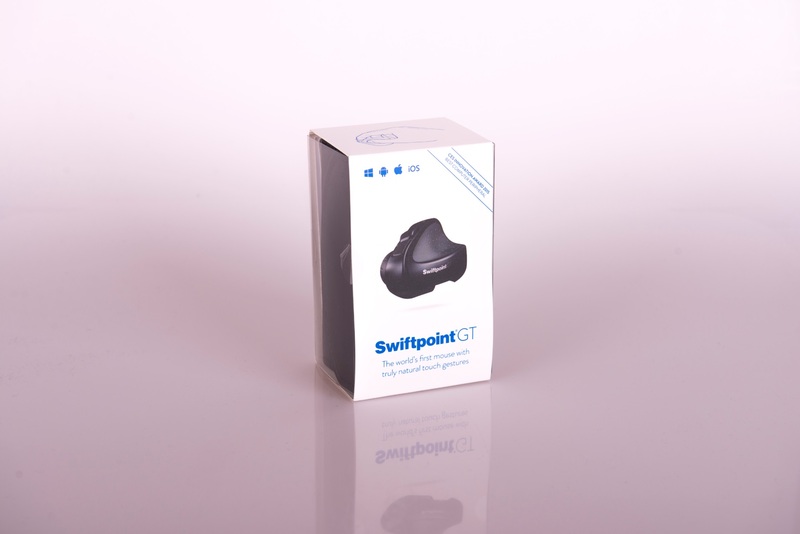 The USB dongle is quite small and is the sole means by which the Swiftpoint GT gets its charge. However, Bluetooth connectivity is also available for this little guy. Bluetooth is not only an alternate mode of connectivity for your computer here, but also a means for you use this mouse with an Android device using Android 4.4 (or later).